So you want to do a sash window repair project on your old window. I tell you, the fulfillment of having to bring it back to tip top shape is gratifying. Now since there would be no way for me to know how good you are at fixing old windows, the best thing I could offer is guide you through the entire process. • Set the heat gun to medium and use it to soften old, hard putty. • Use a putty knife to scrape the putty and expose the metal glazier’s points. • Pry these points out of the wood. • Carefully remove the glass making sure you label it so you can put it back properly. • Use the Dremel or rotary tool to grind away rotten or soft wood. Look in places where sash joints are open or loose. • Brush the epoxy primer on the joints and leave it to set for at least 20 minutes. • Mix the epoxy to a Vaseline-like consistency. We’re halfway through the DIY sash window repair and things are still quite simple, right? • Use a putty knife to slide the new glazier’s points onto the glass pushing the points first into the wood sash. • For large panes, don’t space them farther than 12 inches. • Make another rope of compound and press it around the edge of the pane. • Hook the chains or cords to the lower sash then reattach the stops to keep the sash in place. I hope this article has helped you with your DIY sash window repair project. If it did, do share it with others or leave a message below. But in the event that you actually damaged it more, send us an email and let us fix it for you. 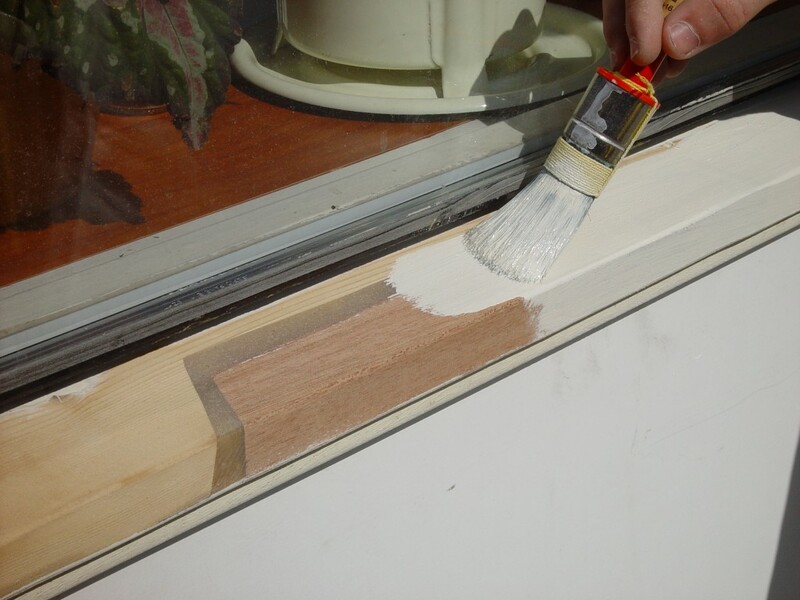 This entry was posted in DIY Tips and tagged DIY Tips, Sash window repair. Bookmark the permalink.